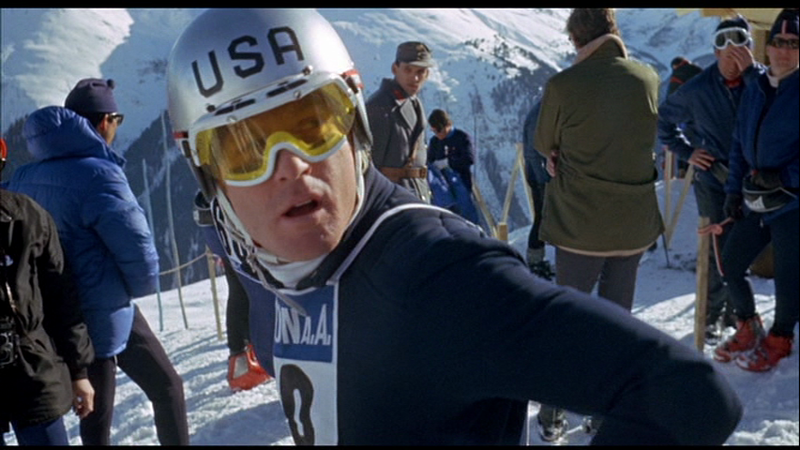 The Story: A handsome but angry small-town ski-bum gets elevated to the US downhill team, and quickly proves to be the best, even though he’s not a team player. The coach soon realizes that he has little choice other than to let this superstar set the rules. We’ve all seen movies in which impossibly handsome actors inexplicably play lovelorn everyman underdogs. 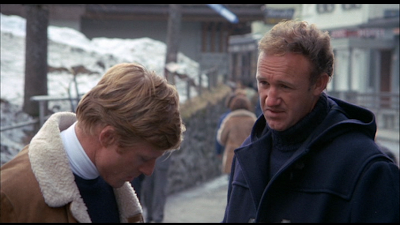 Redford was never interested in all that. He knew that he looked like a golden god, and he preferred to play characters who knew it too. Since his looks were so appealing, he figured he could be more hard-edged than other actors without losing the audience. From this point on in his career, he stopped asking to be liked (but he didn’t look down on his characters either). 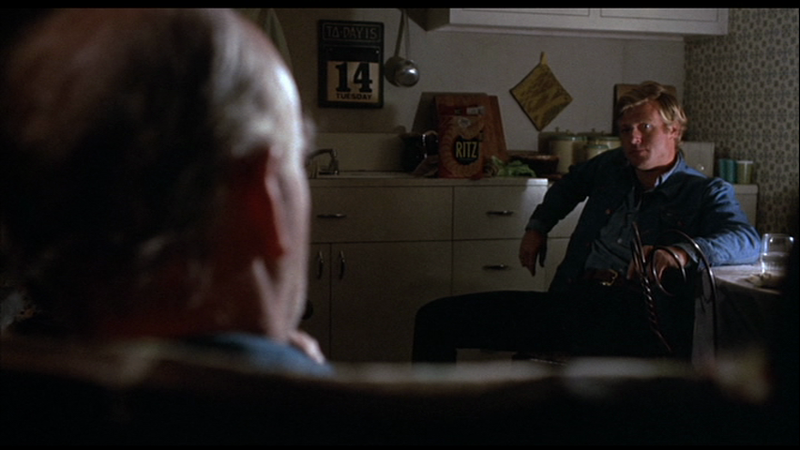 Redford had the original idea for the movie, then hired Salter and Ritchie, whose styles matched his vision. He had gotten sick of hearing that it doesn’t matter if you win or lose but only how you play the game. He had seen his whole life that it wasn’t true and he wanted to make a movie that showed the truth about winners. It’s the tragic paradox of all competition: who becomes the best? Those for whom nothing is ever good enough. Of course this means that being the best can’t make them happy either. The only way to get the big brass ring is lose all of your appreciation for it. As with Kind Hearts and Coronets and “The Sopranos” they get us to sympathize with a bad man by giving him an infuriatingly disapproving parent. His father asks “What do you do it for?” Redford responds, “To be a champion”. His father sneers, “The world’s full of them”. Still, given how heartless Redford is, you have to wonder is he’s a jerk because his father hates him or if his father just hates him because he’s a jerk. These days “realism” in movies is a synonym for “dreariness”. But in 1969, after years of bland technicolor epics, it meant the opposite: fast, raw, and thrilling, freed from heavy cameras, heavy make-up, and heavy-handed dramatics. They understood you could be brutally honest and still be fast-paced. 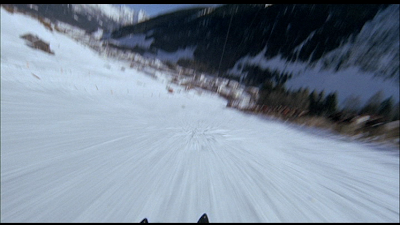 Redford’s first descent, shot from his point of view, is absolutely breath-taking. If You Like This, You Should Also Check Out: Redford and Ritchie reteamed for an equally good follow up about the price of winning, The Candidate. Another great underrated Hackman film from around this time is Scarecrow, if you can find it. How Available Is It? : There’s an excellent Critierion DVD with long interviews with Redford, Ritchie and Salter. 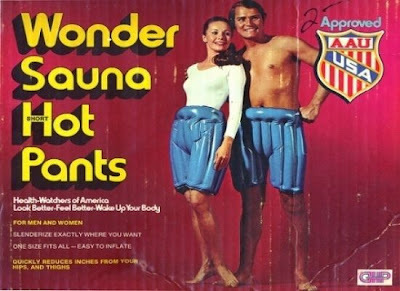 Today’s Post Was Brought To You By: Wonder Sauna Hot Pants! Funny, but I always thought this was an early Pollack-Redford effort. Not that I'm ignoring your brilliant discussion of the film, but where the HECK do you get these ads!? Wonder Sauna Hot Pants!? Can you guess that I liked DOWNHILL RACER because it features a jerk protagonist? The father scene doesn't begin to explain the depths of his jerkiness. Redford was a pretty excellent actor-producer in that day, arguably more influential and creative than he is now that he directs too. 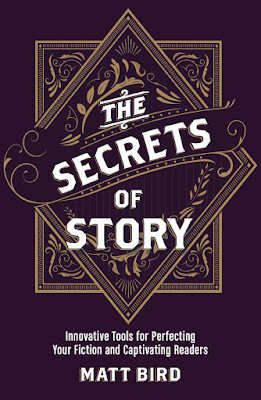 In the last year or so I've had a renewed appreciation for how much he shaped projects like this one and ALL THE PRESIDENT'S MEN (going so far as to tell Woodward and Bernstein how to write their book before they wrote it). I got that ad off Boing Boing (www.boingboing.net) Tanita. I'm breaking internet etiquette a little bit by not crediting my sources in cases like this one, but I confess that I just find context-less images funnier, etiquette be damned. ... and titles by my dad, Don Record. Who also did the titles for "The Candidate." And "Smile," which I believe - without Googling - was a Ritchie production too. Thanks for writing about the film. Very cool, Tracy. The title sequence is one of my favorites --hugely influential on other movies. Yes, all three of those were Ritchie movies-- click next to his name in the credits here to see my write-up of Smile. When I start my band I'm calling it Wonder Sauna Hot Pants. Though, to be honest, it's probably already been taken. I worked with Michael later, but loved this picture. He was an incredibly smart guy, way, way above average. And a nice man who did generous things very quietly. The world is diminished without him now.